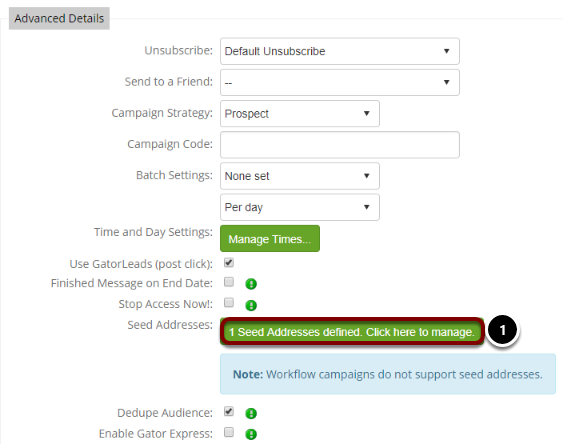 Seed Address allows you to send one or more contacts the campaign regardless of these people existing in the campaign audience. This is useful for when your colleagues need to be notified of a campaign sending out, and they wish to see the email itself. The Sender Alias you wish to use. Your choice of Reply To address. Close Date weeks and/or months. Whether to apply the close date to integrated campaigns. 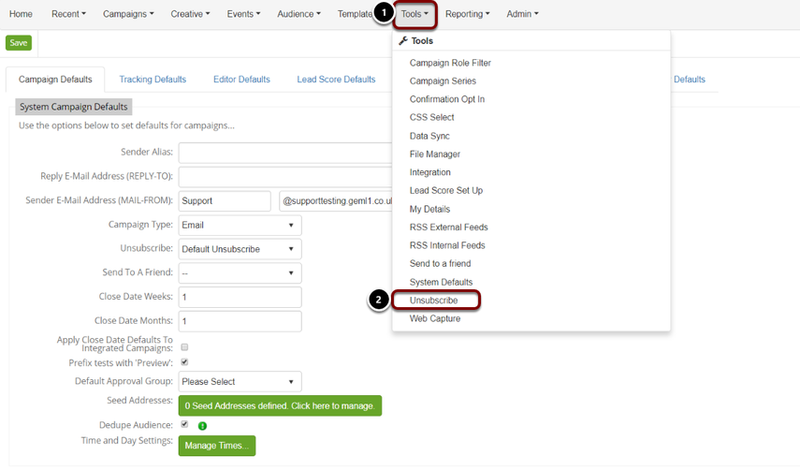 Apply close date default to integrated campaigns. Prefix subject lines in tests with preview. 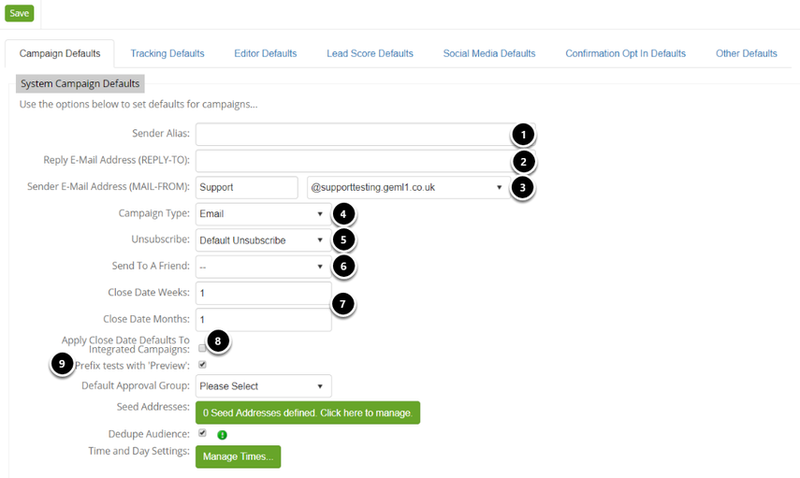 Click the 'Seed Addresses' button to manage who you would like to add as a seed address. Please Note: You can add as many contacts as you wish, it is not limited to one. 1. You will see here the number of seed addresses for the campaign. Clicking 'Seed Addresses' brings up a pop up again showing the seeds. Please Note: The seed functionality will not send for re-sends,campaign series, or other triggered sends.